Who doesn't love a good reunion story? "We thought she had passed away," Debra Suierveld said. Imagine how you'd feel if one day your pet that went missing years ago suddenly managed to find its way back home? Makes you smile, right? Well, that is pretty much what happened with a family in Pennsylvania, USA. Washington Township resident Debra Suierveld thought her beloved black lab mix was dead after it wandered off and couldn't be found for years. However, Abby was not only alive but even made her way back home 10 years after she went missing. Now a post about her story of being reunited with her family is bringing a smile to many. "I didn't even know what to say," Ms Suierveld told Trib Live. "I was like, 'Oh my goodness.'" That's how she reacted when she first received a call about Abby. "We thought she had passed away," Ms Suierveld told CBS Pittsburgh. "It feels like a part of my kids' childhood is back, part of our family is back. It's pretty awesome." According to CBS Pittsburgh, Abby was last seen when she was playing with Ms Suierveld's children near their house. 10 years later she was spotted 10 miles away from the place where she was last seen. Police and animal rescue workers were promptly called. Animal Protectors Shelter found a microchip which led them to Abby's family. Happy to have their beloved pet back, the family has now planned a reunion dinner Abby's homecoming. "Great girl. Great news. 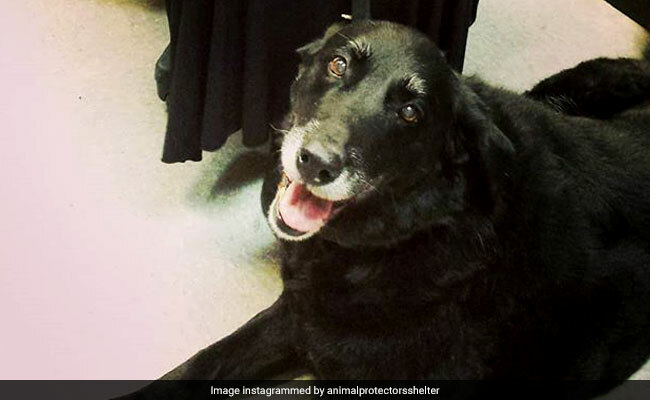 Happy ending for Abby," says one Instagram user about this heartwarming story. "This is an amazing story, however, that dog was obviously loved and cared for for 10 whole years by someone. For a lab to be that old and that (seemingly) healthy is impressive. It seems like some effort should be made to find them, as hard as it may be," says another.